Fall is in full swing! The leaves, weather, and crispness in the air are all changing, accompanying new events and goings-on throughout Canada’s Capital. Whether you have kids and are excited about all things Halloween or want to make the most of the scenic beauty that Ottawa provides in the fall, there’s no shortage of sights, sounds, and new experiences. Let’s explore some of the events planned for this month — there’s something for everyone! Discover the magic of Halloween as well as the creativity of local artists! Pumpkinferno, an iconic outdoor annual art project, is set to return this fall. Take a scenic drive with the family to Upper Canada Village and discover a magical scene — nearly 7,000 hand-carved pumpkins are displayed against a stunning historical backdrop, beautifully lit up. Pumpkinferno is a one-of-a-kind experience that you shouldn’t miss if you’re in the area. 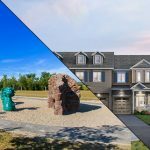 Residents in Embrun – including those at Valecraft’s own Place St. Thomas community — are pretty close to where the magic happens, making for an even quicker trip. Whether you love to meet the people behind your favourite reads or want insider tips on crafting your own story, the Ottawa International Writers Festival is both an entertaining and informing event that must be experienced at least once. Famous Canadian writers such as Ian Rankin and even Margaret Atwood have held discussions and launched their latest works at the festival, which is generally held in the Glebe area. Discover unique perspectives, learn what goes into wordsmithing your favourite stories, and even meet with the authors themselves for some personal one-on-one insight. If you’re a bookworm or creative writer in any capacity, this is one festival you should definitely attend! Want to experience local homemade baked goods, specialty items and all sorts of hidden treasures at a great price? Head on over to the latest iteration of 613Flea. Located in the Glebe within the massive Aberdeen Pavilion, this sprawling indoor flea market is crammed with deals and rare goodies from end to end. Whether you’re looking for beautiful antique furniture or that one elusive retro video game to complete your collection, you’ll likely find something of interest here. You can also sign up to become a vendor if there are items you’re interested in selling. 613Flea happens once a month, so be sure to come back again for more great deals and rarities! Want to contribute to a good cause? Sign up for one of four Rattle Me Bones runs. Starting and finishing on October 6 at the Canada Aviation and Space Museum, it’s a convenient and fun way for residents of Aviation Private and other local communities to help make a difference. All funds raised help to support The Ottawa Hospital Research Institute in developing new treatments for bone and mobility cancers. Or, if you’re feeling spooky and kooky, there’s also the famous Zombie Run at Proulx Berry Farm! No matter how you choose to run, this is a great way to give back while having a fun day out — perfect for those who love to stay fit and in shape. Once the colours on the trees are at their most vibrant later this month, why not head over to Gatineau Park? The annual NCC Fall Rhapsody is an incredible experience, taking you on a journey through the scenic heart of the woods, along winding trails flanked by mosses, wildlife and stunning fall colours. Taking place every weekend until October 21, visitors will not only experience vista views amidst a sea of brilliant colours, but they’ll also get to enjoy events such as the Pontiac Country Fair and Nature Days! This is a tradition for many local families for a good reason — it’s a magical experience and the perfect way to celebrate fall. Live near Carleton University? Swing by for the Ottawa Antique & Vintage Market! If you’re looking for beautiful retro furniture and décor, this is the place to be. From stunning stained-glass lamps to fashionable armchairs from the jet-setter era, there’s no knowing what you’ll end up finding — or taking home. Step back in time and appreciate over 40,000 square feet of these wonderful antiques, but hurry, as the market is only on for two days! This is just the beginning; there are all sorts of fun events to discover across Ottawa! Be sure to visit the Ottawa Tourism Events page to stay up-to-date or keep following along with this blog! Every month, we’ll share some standout experiences including some that residents in Valecraft communities can easily enjoy. Let’s enjoy the warm weather and colourful trees while we can! 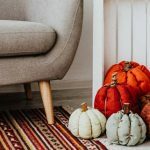 Fall is Here, so Here’s a Few Fun Home Décor Ideas!